Not reported by the museum was the purchase price—a whopping $44.94 million, an auction record for the artist and a stunningly large outlay for a museum acquisition, especially in these financially challenged times. This acquisition ranks among the greatest in the history of the Getty Museum. 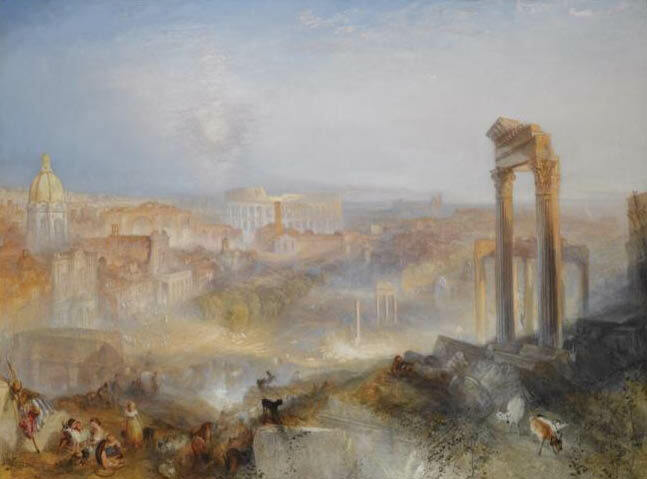 Paintings by Turner rarely come to market and the absolutely flawless condition of this one makes it the work against which all other works by Turner will be judged. This is a major accomplishment for the Getty and will bring great pride to the Museum and to Los Angeles. Does this signal a return to the megabucks acquisitions that the Getty used to be famous for, back in the days when “The Getty Factor” roiled the art market? At the very least, this purchase seems to signal a re-prioritizing of programs to privilege the museum and its collection-building—something that others (including me) have recently called for. It seems that some priorities have now been established. UPDATE: Mike Boehm of the LA Times has put into print what I was privately wondering about: Will Great Britain try to preempt the Getty’s purchase by matching the price, as allowed under British export-license rules? Doesn’t the Tate have enough Turners already?